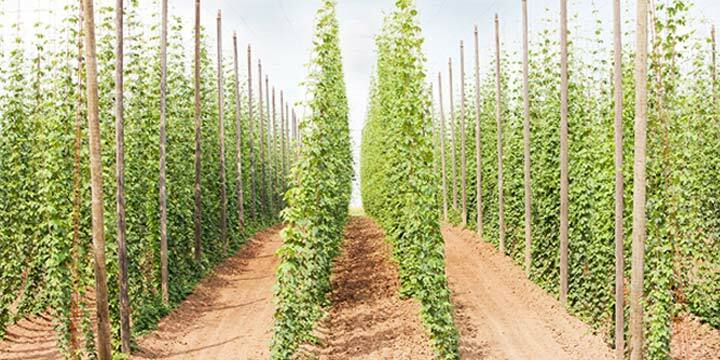 Dry hopping is a process in which, after the beer has completed primary fermentation, hops are added back to the beer to steep. This process is very much like making tea by steeping tea bags in room temperature water. It is a slow process, and it contributes huge amounts of aroma to your beer without significantly increasing the bitterness. All of your favorite IPAs and many of your favorite pale ales are brewed using this method, as it is a great way to add depth to beers with significant bitterness. There is little risk of contamination through dry hopping, as hops have significant antimicrobial properties which help prevent infection. 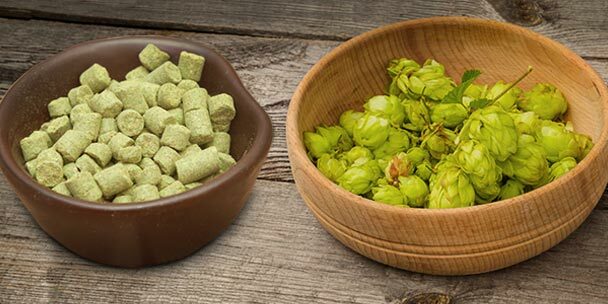 There are many ways in which hops can add flavor and depth to your homebrew. When added early in the boil, they add bitterness. When added later, they can add flavor. If they are barely boiled, they add flavor and aroma. 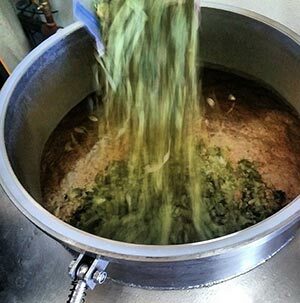 Dry-hopping eliminates the driving off of aroma compounds by the boil, meaning you retain the maximum amount of aroma without contributing added bitterness. 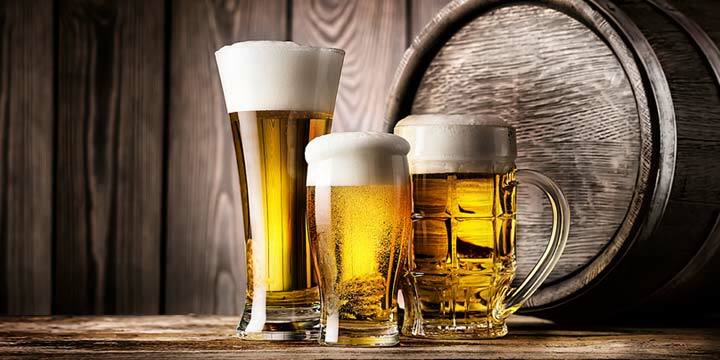 The reason the contribution provided by hops alters through the brewing process is that boiling hops changes them. It reduces delicate aromas by driving off the volatile compounds that make them up. Even when boiled only slightly, the effect is a reduction of these precious aroma compounds. As a result, the only way to truly capture a hop’s aroma is to dry hop. The basic process of dry hopping, and one of the most common methods, is to simply siphon your beer out of your primary fermenter into a secondary fermenter and add hops. It is typically best to place your hops in a hop bag or other strainer in which they can be contained and still be in contact with your beer. If your hops are whole cone hops, you can add them directly into the beer and siphon them off later, but doing so with pellet hops can result in excess hop matter being siphoned into your final packaging. That’s the basic method. We’ll get into some fun variations here in a minute, but first we need to talk hop selection and dry hop duration. 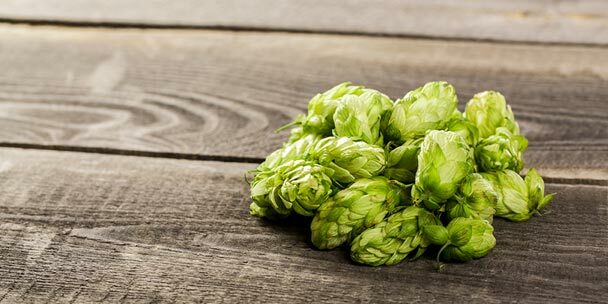 The best way to choose the right hop or hops for dry hopping is to use the hops added to the recipe as aroma hops to begin with. So, if your latest hop addition in the beer was Centennial hops, try dry hopping with Centennial hops. Alternately, you can dry hop with a complimentary hop. Again, if your last hop addition was Centennial, you can try another “C” hop, such as Cascade or Citra. The citrus aromas will work well together without clashing. If your pale ale uses three different hops late in the boil, you can blend them when dry hopping. Finally, for best results, you should dry hop with lower alpha acid hops when possible. Higher alpha acid hops tend to have a lower percentage of the delicate aroma oils you are going for, so using lower AA hops is really just more efficient. You can get great results with higher AA hops, however, so this is a guideline, not a rule. 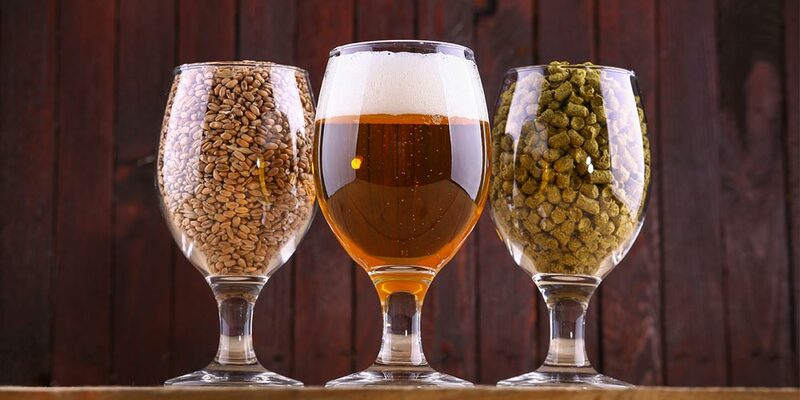 Dry hopping is a fantastic way to get the aroma into your beer, but how long is long enough? How long is too long? Hops added to secondary post fermentation can add significant levels of aroma in 24 hours, and it improves for at least 48-72 hours. After that amount of time, you will still get added aroma, but not as quickly. 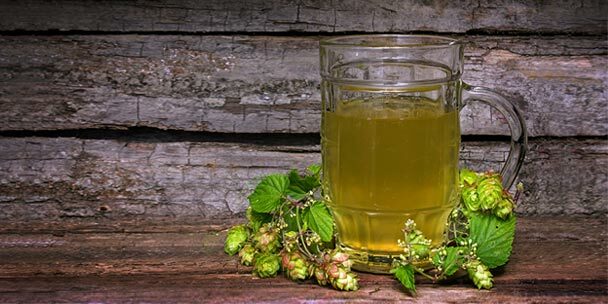 Some brewers will leave hops in their fermenters for the entire secondary fermentation, but if this will be more than a couple of weeks, this can result in vegetal flavors, such as “grassy” notes or other off flavors. You can leave hops in the fermenter for a week or two before the off flavors really start to develop. You won’t get a significant increase in hop aroma over the first 72 hours, but if you just can’t get to packaging in that time, it won’t hurt the beer. After 2-3 weeks, it’s really time to get the beer off your hops or you’ll start to see the bad flavors develop. So, the ideal amount of time is about 48-72 hours. After that, package it up. Now that we’ve outlined the basics, let’s talk about some variations on the theme. There are a lot of ways to “dry hop” your beer, and some of them are pretty cool and fun. Some are not very practical, but are fun for the novelty. This dry-hopping technique is not the ideal method, but it can be a quick way to determine what aroma compounds will work with a certain type of beer. Let’s say you have a pale ale you brewed that you are considering dry hopping next time. Add some pale ale to some pellet hops in your French Press and give it some contact time. Then, press the plunger and pour the beer. It will be slightly flatter, as the pressing will excite some carbon dioxide out of suspension, but you should be able to get a good idea of what that specific hop will contribute to your next batch. This is a good variation on dry hopping in which the hops are added to a hop bag or tea strainer and added directly to the keg. This method really imparts significant hop aroma, as the strainer will sit right next to the beer uptake and some of the beer will pass right through the bag on its way to your glass, resulting in a very fresh taste. Unfortunately, this method means you really need to consume the beer within a 2-3 week period or you’ll start to taste the grassy and vegetal notes we discussed earlier. This method is fantastic for parties and one time events, though. Pioneered by Dogfish Head Brewing, The Randall is a device that hooks to your tap lines and allows you to push your beer directly through a sample of whole hops. The concept is that you have a chamber in which you add dried or fresh whole cone hops which seals well. The beer line runs into this chamber on one side and out of the chamber on the other. 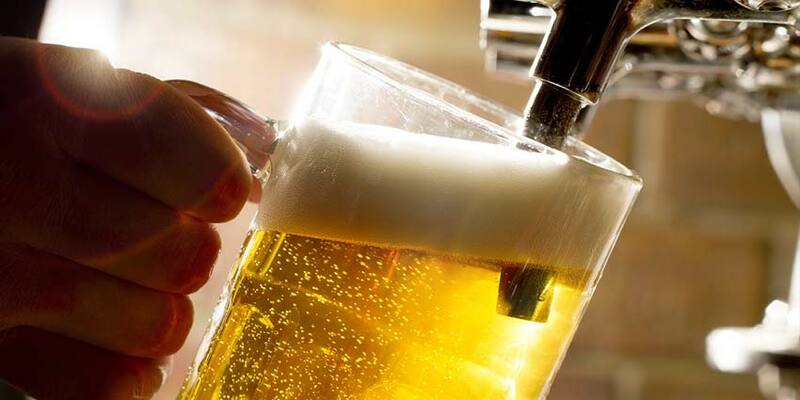 The beer comes in direct contact with the hops on its way to your glass, taking delicate aroma compounds with it. This system does work well, but requires a kegerator and specialized equipment. You can build your own Randall if you have a kegerator or you can order one from Dogfish Head on their website. Most homebrewers’ first reaction to this is that it is not as efficient as dry-hopping in secondary. The theory is that dry-hopping in primary allows carbon dioxide bubbles to carry off the aroma compounds from the beer. The truth is that, while hopping in primary does change the aroma profile, the true mechanism for why that happens is not yet completely understood. The aroma compounds from hops are contained in the hop oils, which are not volatile enough to be carried off by CO2 bubbles. The only reason they dissipate in the boil is because they are, well, boiled. This process is being experimented with some at the homebrew and commercial brewing levels, but has not yet caught on in full. The anecdotal evidence seems to point to this method changing the aroma compounds contributed, but does not necessarily reduce them. Now that you have a little more info on the methods of dry-hopping, it’s time to give it a try. Experiment with your dry-hopping techniques and see what works best for your recipe. So, maybe the next step will be to brew a batch of beer and split into two batches. You could dry hop one in primary and one in secondary, then bottle them up and taste them with friends. After all, that’s the best way to taste beer. 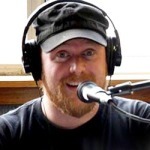 Benjamin Stange is a freelance writer specializing in craft beer and home brewing. He has been brewing his own beer since 2000 and is an active member in The Zymurgists of the Ozarks Home Brewing Society (The Homebrew ZOO). He lives in Springfield, Missouri with his family, who graciously tolerates his obsession with all things beer. Great info to have. Thanks for putting this together. Great tips for dry hopping. This was one of the main questions I had when I started brewing. Good tips, and one of the other things to keep in mind is that people are doing multiple dry-hop additions. Dry-hopping in primary, and doing another addition in secondary will increase the oil content in the finished beer even more. I have a single-hop IPA sitting on dry hops right now. I’m hoping to package it today or tomorrow, and i can’t wait to taste it. what a timely article! I’ve just dry hopped at primary on a best bitter and suddenly thought I’d karcked it up! The hops were on the older side, so probably not that full of aromatics. Primary seems to have finished after a week, so I’m planning to check if FG has been reached and get into my barrel. Add it at the end of the secondary fermentation instead of the beginning. I just dry hopped my first IPA two days ago in secondary. How do I remove the muslin bag with the hop pellets in the next day or two in a sanitized manner in order to continue secondary for a couple more weeks (total of 2 to 3 weeks)? Thanks. When I had dry hopped my last brew (IIPA) I used pellets. The process was good and the flavor outstanding, what I realized is the final rendering of beer was affected by the pellets absorbing more than was expected. I used 2 ounces. Any thoughts. Thank you the article. You have taken my beer knowledge to a new level. I’ve not found this to be the case, even after 6-8 weeks. Lame instructions. You say 24-48 hrs is optimal. But you also say that hop aroma won’t be significant increase in hop aroma in the first 72 hrs. You may have been confused by his statement that “You won’t get a significant increase in hop aroma over the first 72 hours”. He means AFTER or BEYOND the first 72 hours. The author’s statement is confusing and I actually went to read through the comments to see if anyone else saw that same issue. If you “read it correctly”, the author is essentially implying the duration of time during which not much aroma is released would be the first 72 hours. Great info. I’ve also recently heard of dry hopping in the primary can be effective. Tons of old articles would say no to this. Anyway, I will try it and see how the beer turns out. Using stainless steel tea balls works well – just don’t overfill them. The first time I used a tea ball, the hop pellets almost tripled in size when wet and forced the ball open. You can buy larger 80mm or 100mm tea balls online, which are great for dry hopping. I’m liking the level of detail in your article — snotty comments aside with regards timing before drinking (there really just is no pleasing some folks!) — we live in Japan, with its burgeoning craft beer community, and find that many of the local brews are more suited to the refined palates of the Japanese, whereas our pallets have been used and abused for long enough to welcome a crash of hops to the nose etc. I’m going to pick up some hops at the local supply shop and give the French Press approach a bit of a go (appreciating its limitations – but heck, no experimentation, no innovation)! You comment about dry hopping in the keg producing grassy or vegetal flavors is simply not true at typical kegging temperatures. In fact, it may be a month before the aroma peaks. Also, for the majority of us who have been at this for a while(35 years for me), only use primary fermentation, not secondary, except in the case of aged beers. One can simply dry hop in primary(glass carboy for me) once active fermentation has slowed. How much hops per 20lt is used in this method? 2 or 3 ounces work well for me. Great article, very clear! Thanks! Great info and overview, especially the split batch approach. About to start another brew and dry hop some Mosaic hops so the primary vs secondary hopping will definitely be in order for comparison. Tks and Merry Christmas.